One of my favorite things to do is solve problems by using a tool in ways it wasn’t meant to be used. In this post, I will outline how I did that by using Facebook lead ads to create a quiz. First, credit goes to Lucas Elliott of our team. A few weeks ago, I talked about using quizzes as a lead magnet. Lucas suggested creating a quiz with a Facebook lead ad. I balked, knowing that it wouldn’t be as dynamic as what I wanted to do. 1. This tool is DEEP. 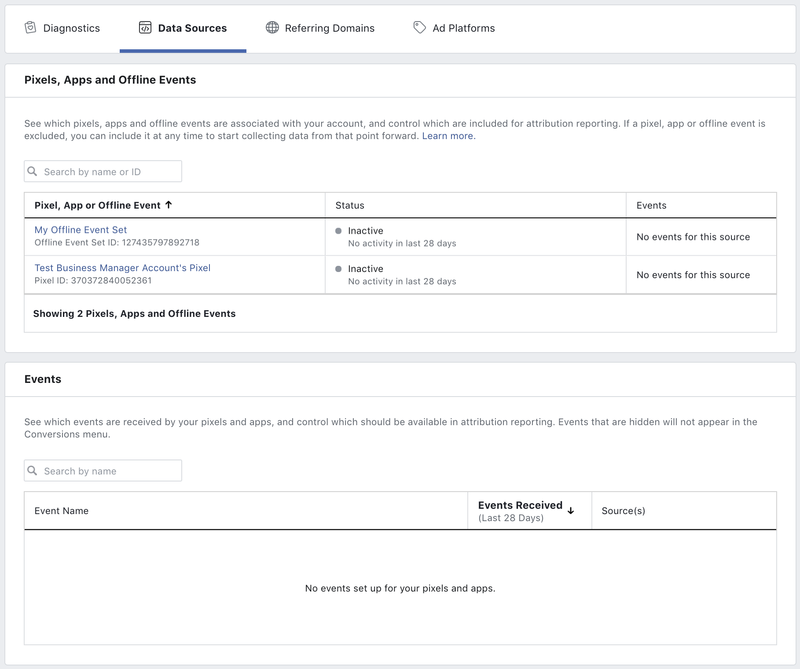 Have fun poking around this Facebook Business help guide to learn all of the ins and outs of the Facebook Attribution Tool. 2. I just got access to this thing for the first time, too. I’m still learning it. I’m still discovering its value. Bottom line? There’s a lot to discuss here. There’s a lot that can’t be put into this single post. And, quite frankly, I’m just discovering everything that can be done with it, too. But, if you’ll scroll to the bottom and back up, you’ll see just how dense this post is. And it’s simply an introduction to the tool — how to set it up and what it’s for, at least at a top level. There’s so much more we’ll need to discuss about this in the coming weeks and months. But for now, let’s get to know this tool better. And if you haven’t set it up yet, let’s do that, too! 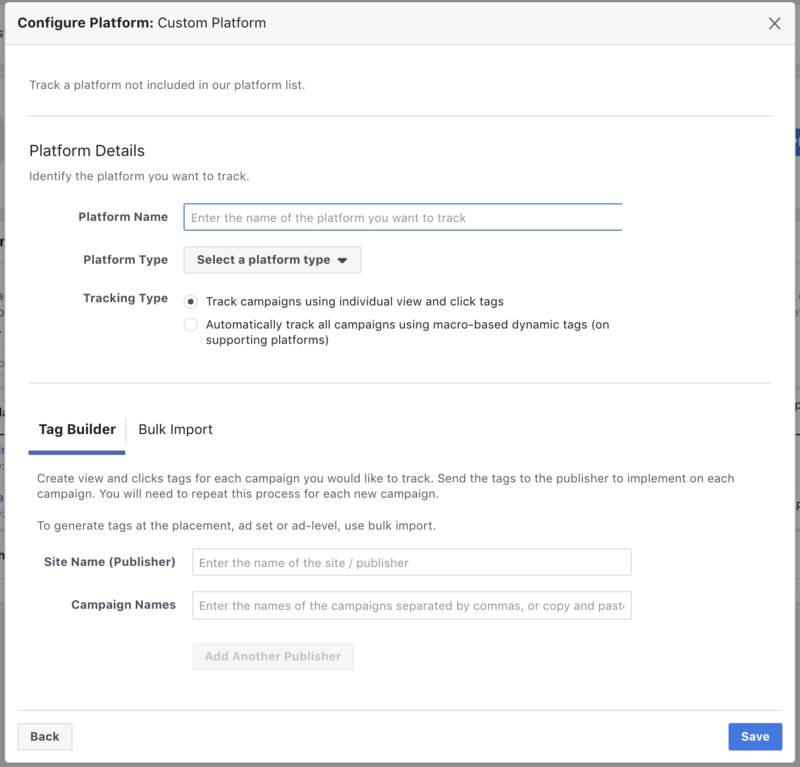 What Is the Facebook Attribution Tool? In the simplest terms, think of it like this… When discussing attribution — or in this case, Facebook attribution — we’re looking to determine the cause of a conversion. Where did someone come from? What device were they on? Did they access multiple devices? Was the content organic or paid? You may have heard of Atlas, which provided valuable cross-platform and cross-device information to the biggest of brands. 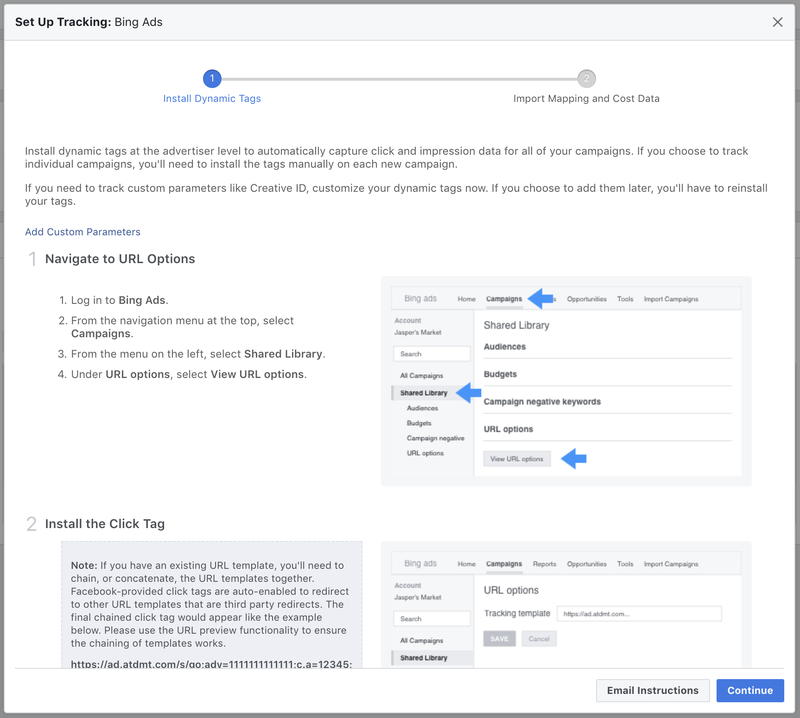 Atlas has now been repurposed in the form of the Facebook Attribution Tool, and it’s available to all advertisers. Facebook Attribution is designed to help you understand the impact of your content and ads across multiple publishers, channels, and devices. Note that this includes and goes beyond Facebook — not only the organic referrals from Google and others, but your non-Facebook advertising efforts. To set up the Facebook Attribution Tool, go here. You should also see it within your Business Manager’s top menu. If you aren’t connected to Business Manager, it’s possible that you won’t get access to this tool. Based on my testing, there is a separate Attribution for each Business Manager. But I tried to access it with my personal account and could not. 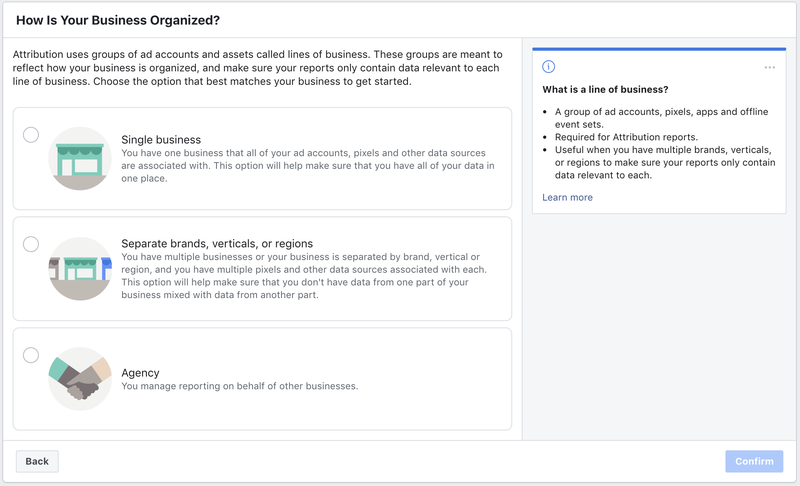 Facebook will first ask you how your business is organized (single business; multiple brands, verticals, or regions; or agency). Essentially, do you manage ads for multiple businesses as an agency within the same Business Manager? Are you a single business? Or do you have more than one business that you own or oversee within this Business Manager? Next, you’ll need to set up your line(s) of business by grouping your ad accounts and data sources. When you click “Set Up Line of Business,” the first thing you’ll be asked to do is choose ad accounts related to that business. 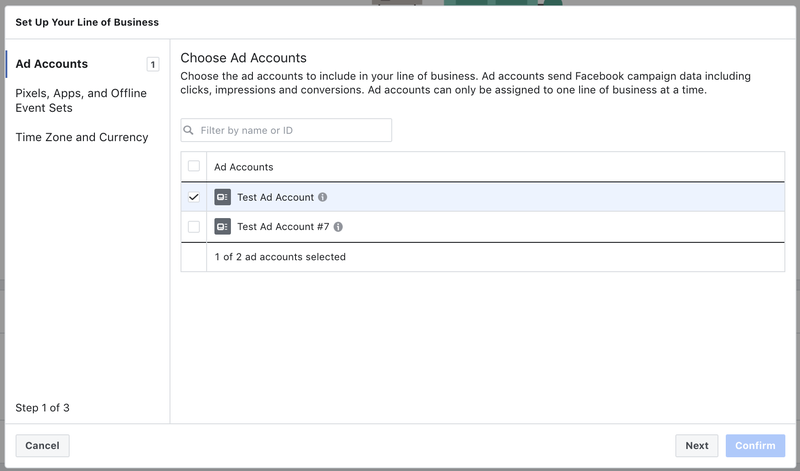 If you use more than one ad account to manage a particular business, make sure to select them. If an account isn’t listed, you’ll need to add it to your Business Manager. After selecting the ad account(s), click “Pixels, Apps, and Offline Event Sets” on the left. Logically, you’ll want to select all of the pixels, apps, and offline event sets related to this particular business. 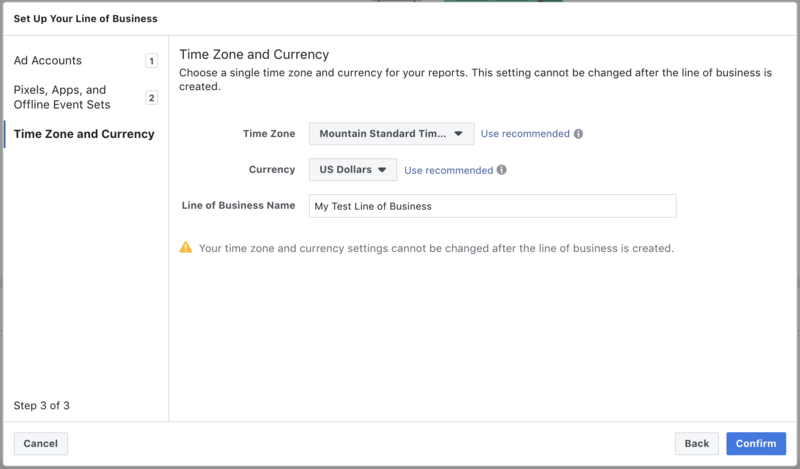 Then click “Time Zone and Currency” on the left and adjust the settings according to your local time zone and currency. Note the message that you won’t be able to change the time zone or currency after setting this up. When you’re done, click “Confirm” at the bottom right. 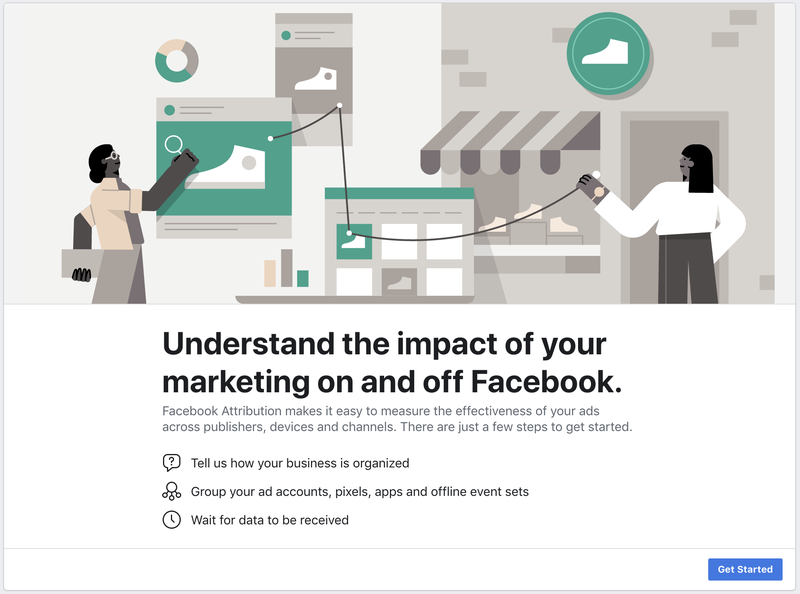 Now, you’ll see a brief summary of your line of business on the main Facebook Attribution set-up page. If you need to add another line of business, do so now. If you’re done, click “Finish” at the bottom right. To complete the set-up, you’ll need to add any non-Facebook ad platforms that contribute to your traffic and sales. 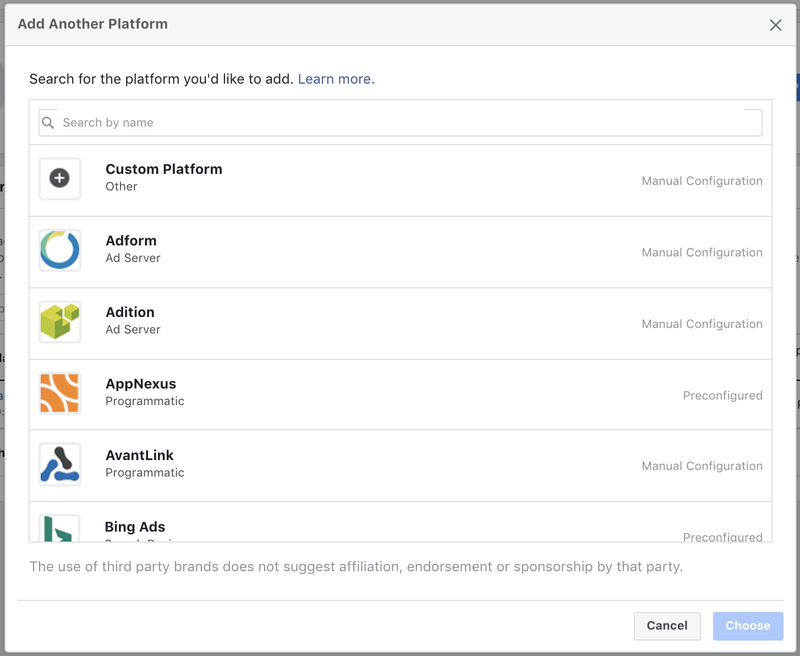 “Ad Platforms” is the final tab within the “Settings” view and will provide a list of all ad accounts that feed into this line of business. You should see the Facebook ad account(s) that you added earlier. But note that you can also add another platform. It doesn’t have to be Facebook only. Why would you do this? Facebook will already know if traffic comes from a particular domain (like Bing, Pinterest, LinkedIn, or Google). 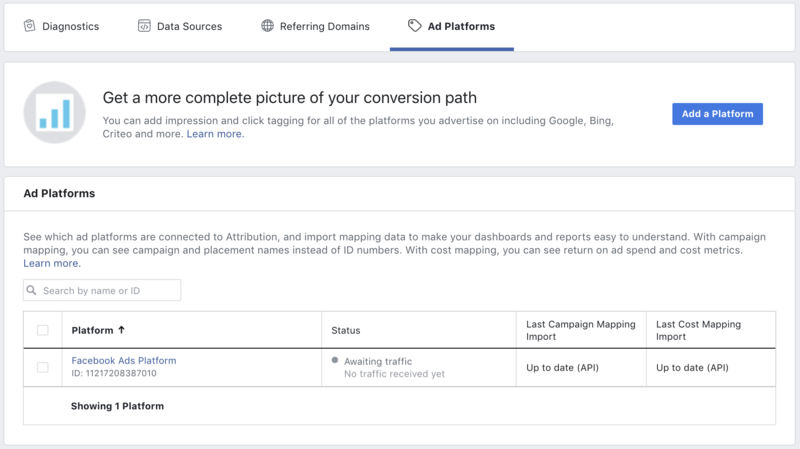 However, by connecting your other ad platforms, the Facebook Attribution Tool can then differentiate from organic vs. paid traffic. And if an ad platform that you use isn’t on the list, you can choose to add a “custom” platform. You likely have questions about this process, and we’ll undoubtedly need to discuss it more later. In the meantime, this tutorial may help. Okay, so now we’re all set up. So we should see lots of valuable stuff right away, huh? Well, not so fast. As mentioned earlier, this is the equivalent of creating and adding a new pixel to your website. The data that Facebook can collect and then report to you starts at that point. You will not get info for activity that occurs prior to configuring Facebook Attribution. As a result, it may take a day. It may take several days or even weeks to get meaningful data. It just depends upon the amount of activity on your properties. Diagnostics won’t show you much of anything at first while the tool is building data from your data sources. It needs traffic and conversions. You’ll see a reporting of conversions, impressions, clicks, visits, and errors (if there are any). Data Sources will show the pixels, apps, and offline events that you added earlier. It will also list the recent events that have occurred on your pixel since adding it to the tool. Referring Domains will list out all of the domains that have referred traffic to your website or app. We already discussed the Ad Platforms tab earlier. At the top right you’ll notice three drop-downs that will allow you to filter and alter data. First, you can choose the type of conversion or event that will receive focus in the data on that page. What appears here will depend upon what events you use with your pixel. You can also change the time period, as you would for your Ads Manager. And finally, you can change the attribution model or window. Even Credit: gives an equal percentage of the credit for a conversion to each touchpoint on a conversion path. Last Click or Visit: gives 100% credit to the last click or visit that happened in a conversion path. Last Touch: gives 100% of the credit for a conversion to the last click or visit that happened in a conversion path. If there was no click or visit, then it will credit the last impression. Positional 30%: gives a specific percentage of the credit for a conversion to the first and last touchpoints in a conversion path, with the remaining credit distributed evenly across all other touchpoints. Positional 40%: gives a specific percentage of the credit for a conversion to the first and last touchpoints in a conversion path, with the remaining credit distributed evenly across all other touchpoints. Time Decay 1-Day: gives an increasing percentage of the credit for a conversion to touchpoints as they get closer in time to the conversion. Time Decay 7-Day: gives an increasing percentage of the credit for a conversion to touchpoints as they get closer in time to the conversion. We can’t go much deeper on this topic here, but feel free to check out this tutorial on attribution models. 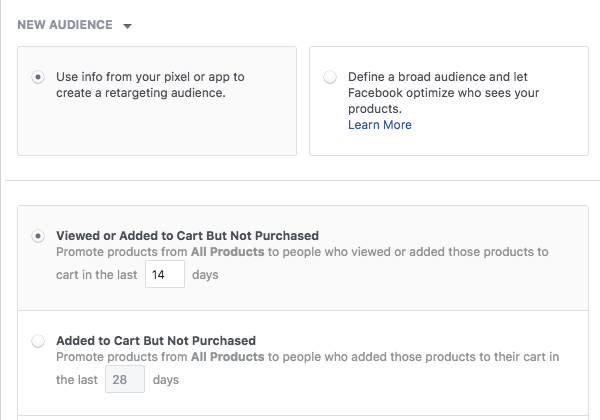 And you can alter how Facebook defines a conversion based on the attribution window (default being within 28 days of a click or 1 day of a view). Attribution windows tend to be an eye-opener for new advertisers. 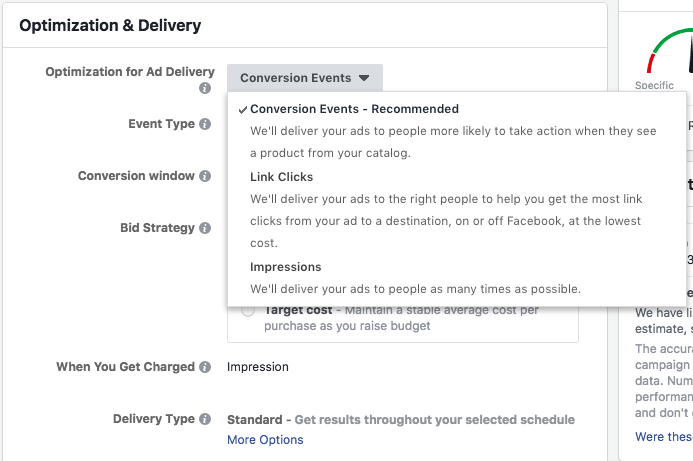 You may assume that Facebook counts conversions based on someone clicking an ad and immediately converting on your website. But the reality is that Facebook measures people who click ads and come back on another day — or don’t click, but view, and convert later that day. The first tab at the top left is for Performance. Once again, you won’t see anything there right away, and it may take some time to get much of value there. But eventually, you’ll see data splitting out the source of your conversions (paid, organic, domain, ad platform, etc.). By default, you will be viewing all channels (organic and paid). But you can choose to focus on one or the other by clicking the Channels drop-down at the top left. The next menu item is for Custom Reports. The default view is for the sources of your conversions. One of the cool things about this info is that you can customize the type of report you create (hence, the “Custom Reports” title, I guess). Some helpful metrics here include Return On Ad Spend and Visit Conversion Rate. Instead of sources, your custom reports can also be broken down by campaign (controlled at the top right). This report pulls out specific ad campaigns you’re running (across platforms) while also including rows for organic. Within that last drop-down was the ability to create a custom breakdown. This topic may require a separate blog post, but read more here for now. Finally, the custom reports are displayed in columns by default, but you can also choose to view them as a graph instead (toggle at the top right). How many conversion paths included both desktop and mobile? How many conversions on mobile resulted after users interacted with your ads on desktop? And what percentage of your conversions on desktop happened after users interacted with your ads on mobile? That’s it. It’s interesting information, no doubt. But there’s no slicing and dicing of data the way there is in the other sections. At least, for now. 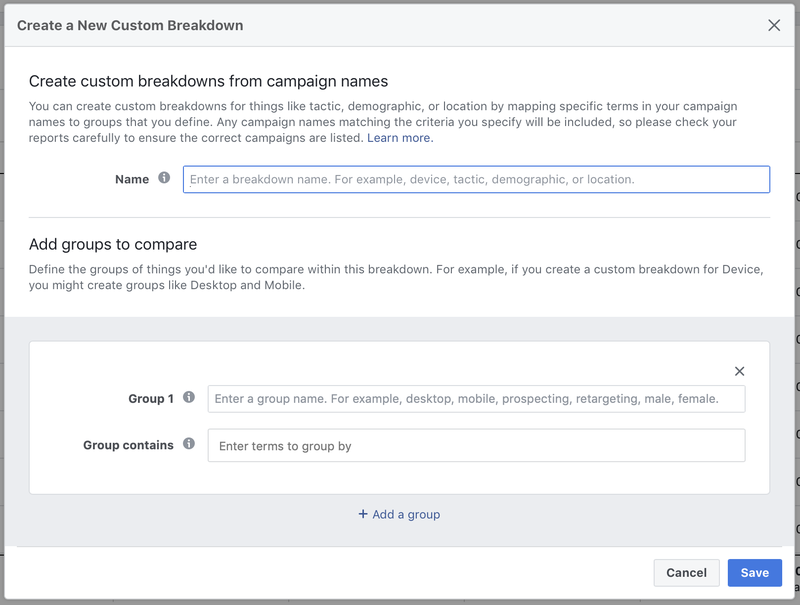 How Will You Use the Facebook Attribution Tool? What’s your customer journey? How much value do your Google ads have versus Facebook ads in terms of leading to sales? What’s the mix of device types for a customer most likely to convert? We’ll need to discuss in more detail — in another post — some specific use cases for the Facebook Attribution Tool, but these questions provide a start. We’re just getting started here, my friend. As long as this post is, I fully realize it simply leads to more questions. And as someone who is just diving in myself, I don’t have all of those answers. But there’s more to come. We’ll figure it out together. And it will be glorious. 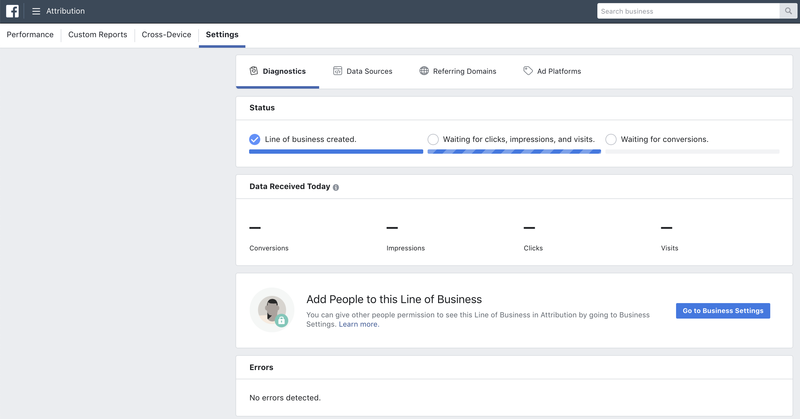 Have you set up the Facebook Attribution Tool yet? What types of information are you finding? There are additional variations and areas of gray, but these are the primary approaches. Let me first say that there is a time and place for each of these things. For example, I will use Worldwide targeting on occasion — but I do so selectively. I’ll use it when reaching a very warm (and small) group of highly engaged people. But there are many times when you should strongly consider approaches 2 and 3. However, you can’t simply guess which countries to use. It needs to be intelligently based on your customer data. Why Separate Ad Spend by Country? 1. Similar audience optimization. Facebook’s optimization is quirky. It’s complicated and mysterious. But what Facebook does, essentially, is reach people most likely to perform your desired action within the audience you’re targeting. How they do that is where the mysterious part comes. But the thought is that it helps to group audiences of similar people to assist Facebook’s optimization. This isn’t something I buy into strongly, but it is one of the strategic lines of thought. To that point, it would help to have people grouped by location. Not only might these people be more similar due to geography, but Facebook’s optimization and delivery can remain more consistent in terms of timing due to time zones. Another, less obvious “similar” grouping is CPM. If we have countries with drastically different CPMs in the same ad set, Facebook is bound to focus primarily on the low CPM countries. We’ll talk about how I handle that specific problem near the end of this post. 2. Reach those likely to buy. If you’re a local business and you can’t service those outside of your area or country, there’s no reason to target globally. But even if you can have customers anywhere, there’s reason to limit the countries you reach. I’ve personally seen that I may get a high level of engagement in certain countries, but that I NEVER get a paying customer from those locations. Or the ratio is so small that it’s not worth spending on people there. As a result, I’ll often run either one ad set with all of my “primary” customer countries in it or create separate ad sets for each country. 3. Distribution control. My paying customers dating back to the beginning of 2017 are from 90 different countries. It’s pretty crazy! However, the percentage of customers from each country is a good starting point for determining how much I should spend on that group. For example: Customers from the United States make up 52% of my revenue dating back to the beginning of 2017. The other countries represented most are the United Kingdom (8%), Australia (8%), and Canada (5%). Every other country represents fewer than 2% of my revenue. If I were to group my top four countries in the same ad set, how will Facebook distribute my budget? For reasons I am about to discuss below, it’s quite likely that users within the United States will not account for half of my budget. (NOTE: I’m not using $52 for the United States because it actually makes up 71% of my “primary country” revenue). Facebook’s primary goal, by default, is to get me the most actions (conversions, clicks, etc.) for the lowest price. If I am driving traffic to a blog post or building my email list with a lead magnet, this definition creates a problem. You see, clicking a link or providing an email address aren’t revenue. I know, they can lead to revenue, but by themselves, they are not revenue equivalent. Proof of that can be found when targeting worldwide. Some countries are MUCH cheaper to reach than others. The most expensive, of course, tend to be my primary countries. The main reason for this is the competition within those countries. While I may not get revenue from certain countries, I may get clicks, engagement, and even registrations. In fact, I may get far more clicks, engagement, and registrations from third world countries. This is due first because of the low cost to reach these people. It can also be attributed to bots and low-quality engagement. The problem is that if you optimize for clicks, traffic, or leads, Facebook doesn’t care whether or not these people lead to revenue. They are cheap to reach. They will give you a ton of “results.” Those results just aren’t likely to lead to much. This is the difficult part. Most advertisers are quick to list the same four countries (United States, United Kingdom, Australia, and Canada) as being “high quality” for business. But they aren’t the only countries that can lead to revenue. As I mentioned earlier, I have a list of 90 countries that have led to revenue in less than two years! Of course, most of these 90 represent a very small piece of the total pie. But should they be ignored? First, be careful about assumptions. India gets a reputation for low-quality traffic. That said, I have 64 paying customers since the start of 2017 from India. That’s not nothing (double negatives are fun!). Still, India is a country to be careful about because it is so cheap to reach users there. So you shouldn’t, for example, have an ad set that includes the United States, United Kingdom, Australia, Canada, and India — at least, for the purpose of leads or traffic. If you do, Facebook will send the bulk of your impressions to India (at least, in theory). This is all great, but let’s not get crazy. If you have a $5 per day budget, there’s very little reason to micromanage this. And in all likelihood, you won’t need a separate ad set for a single, small country. For example, I have 18 paying customers out of Norway, making up .5% of my revenue. While there are 3.6 Million Facebook users in Norway, only a small percentage of them would care about my products. According to Google Analytics, only about 5,000 Norwegians have visited my site since the start of 2017. I’m not going to spend .5% of my budget for a campaign to create a single ad set for Norway. Instead, I’ll add similar (at least in impact) countries to create an audience large enough to spend more. Okay, so the first thing you need to do is find out how many paying customers you have from each country. I use Infusionsoft, and I’m able to create a report of my customers, including a column for country and revenue. I cut this off at 24 only because every other country accounted for less than .5% of my revenue. It’s an arbitrary cutoff, but you have to start somewhere. I’ll use a campaign for my free webinar as an example of how I’m splitting up my budget by campaign. Then, I created an ad set for my next five “tier 2” countries and assigned a daily budget of $4 (applying the ratio of revenue for those countries). Finally, I included all of the remaining 15 “tier 3” countries and assigned a daily budget of $6. PROBLEM ALERT! Those final 15 countries in “tier 3” will not distribute evenly. Why? Some (India and Malaysia, for example) will have a much lower CPM than a handful of others (notably: Singapore, France, Sweden, and Norway). The lower CPM means the cost per conversion will likely be drastically different between these countries. As a result, Facebook is unlikely to show ads to the high CPM countries since you’ll get far more results from the others. What do we do? I split tier 3 into two groups: High CPM and Low CPM and split the budget evenly. Note, we could have done some things differently if I wanted to micromanage or spend more money. With a higher budget, I could have looked to create individual ad sets by country for my top 24 countries. I may have even gone beyond the top 24. But I like to stay sane and limit micromanagement when possible. There are times when I may only target my top four countries. In this case, I’ve expanded my spending, but I’ve made sure that I’m spending an amount that is in line with the likelihood for return revenue. How do you go about handling this? Do you create separate ad sets for each country? Do you group countries together in the same ad set? And how do you determine your budgets? Facebook Location Targeting options can provide powerful methods to reach specific users in certain areas. However, as Facebook has created additional options, advertisers may be confused about how to take complete advantage of these features. Some also may not fully understand how Facebook determines target audience locations. Note that this post is focused primarily on paid targeting. I’ve also written about restricting your audience using location targeting at the page or post level. This post dives into what Facebook Location Targeting is and how location is determined. We’ll also cover scenarios when you might want to use the different capabilities offered. Along the way, we’ll take a nerdy detour into segmented audience analysis. What Is Facebook Location Targeting? Location Targeting on Facebook simply allows us to tell Facebook the relevant geographic locations where we would like to show our ads. At the time of this writing, Facebook allows you to target by Country, State (or region, depending on the country), City, Zip/Postal Code, and Business Address. In the United States, you can also target by DMA, which is a media market as defined by Nielsen. You can also target multiple locations within a single targeting group, though there are limits to how many specific targeting parameters you can build. For example, you can include up to 25 individual countries, or up to 250 individual cities, in a single group. Facebook also offers very broad targeting capabilities, including the “Worldwide” targeting option. You can also target by broad region, such as Asia, and by Free Trade Area. A list of options is available here. If you are using broader target groups, there are limitations to what Facebook will include. We’ll cover these in more detail later in this article. There are three phases when you can define locations to target: during the campaign creation process, when creating a saved audience, or when using Audience Insights. In this example, as we type “California” the various options populate. Be sure to select the correct geolocation! 2) Perform a “Drop Pin” on a map. This less common method is useful if you need to target many locations, and you don’t want to have to manually select them. Facebook covers this method here. *Excluding locations has some special considerations, which are covered later in this article. What Types of Locations are Eligible for Targeting? Strangely, Facebook’s help articles indicate that Everyone in a location is the default option, though in my own experience I have seen the People who live in this location seems to be the default selection when creating a new audience. You might wonder how Facebook determines whether a user lives in a location, or is just passing through. Glad you asked! Facebook uses multiple signals to determine (or more realistically, to estimate) a user’s location. The platform may use IP address, mobile device info, a user’s profile data (i.e. city listed in their profile), and sometimes a combination. They can also use info from the locations of the Facebook user’s friends. Everyone in this location: People whose current city on their Facebook profile is that location, as well as anyone determined to be in that location via mobile device. People who live in this location: People whose current city from their Facebook profile is within that location. This is also validated by IP address and their Facebook friends’ stated locations. Recently in this location. People whose most recent location is the selected area, as determined only via mobile device. This includes people who live there or who may be traveling there. People traveling in this location. People whose most recent location is the selected area, as determined via mobile device, and are greater than 100 miles from their stated home location from their Facebook profiles. It’s important to remember that Facebook uses multiple signals to determine a user’s location (with the exception of the Recently in this location target, which is based solely on mobile device signals). If you are interested in slicing, dicing, and diving deep into comparing the different Location segmentation audiences, this section is for you. Feel free to skip ahead to the section “Quirks/Limitations to Consider with Location Targeting” if this is a bit too much detail. Thinking back to how Facebook defined the data source for the Recently in this location audience, we might assume that this audience would automatically include everyone who is in the People who live in this location audience, at the very least. Let’s do a quick experiment using the Audience Overlap tool within Facebook’s Ad tools to see if that holds up. We can use it here to better understand Facebook’s definition of the various Location audiences, and how they interact with one another. Sidenote: If you want to dive even deeper into this tool specifically, Jon wrote about it here. Click the “Create Audience” button on the bottom right to save this audience. Now that we have our People who live in this location audience set for California, let’s now set up a Recently in this location audience for California. Here’s where the fun begins. Click to Create Audience at the bottom right of the audience creation screen. The first thing to notice in our example is that the “People Who Live In” audience is larger than the “People Recently In” audience. Based on the way Facebook defines each of these audiences, this result doesn’t seem possible. Let’s investigate further by comparing the Audience Overlap. Here’s how we read this chart: The top shows the base audience. The bottom chart is the Comparison Audiences section, which reports the comparative audience against the base audience. In our example, 9,396,000 of the total people in the “People Recently In California” audience are also in the “People Who Live In California” Audience. This comparison exercise suggests that a literal interpretation of Facebook’s definition of People Recently In would be incorrect. We should not assume that People Recently In includes all of People Who Live In AND People Traveling In. When we review the data sources and definitions of the different targeting options (as outlined earlier in this article), this makes sense for several reasons. First, the target for People Recently In is determined using only mobile device info as the signal, whereas the other targeting options use additional signals. Here we find that the People Traveling In audience includes people who are not also within the People Recently In audience, confirming our assumption that the Recently In audience does not fully encapsulate the entire audience of Traveling In. I’m not certain whether this is because the two are based on different data sources, or if Facebook is categorizing users as Recently In if they normally live in that location but are currently elsewhere. It’s helpful to be able to compare different audience segments and their overlap patterns. If you like this sort of thing, check out this write-up from Jon specifically on the use of the Audience Overlap capability. When you target broad locations, such as Country (or Worldwide), certain cities are sometimes not included. Most of the locations subject to this limitation are islands, or in locations where Facebook usage is limited or restricted, such as China. For a complete list of locations that exclude cities when using broader targeting, check out this Facebook help resource page. The list is located near the bottom of the article. 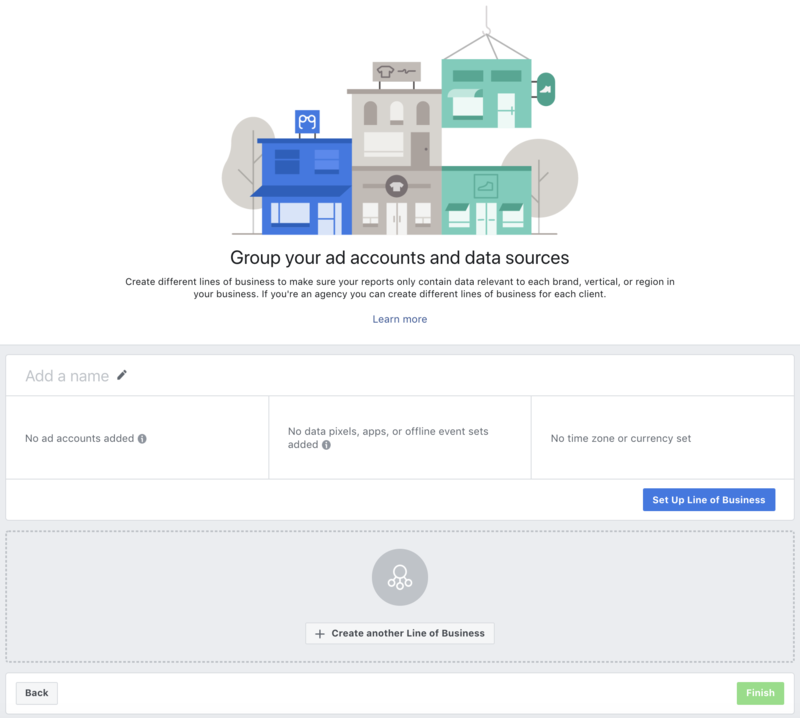 If you exclude certain locations from your advertising audience, keep in mind that this only guides Facebook to not run an advertisement in this location. It does not prevent people in those locations from seeing the ad. We can illustrate with an example: Let’s say we tell Facebook to target people in California, but exclude people in San Diego. Facebook will not show our post as an advertisement (i.e. sponsored post) to people in San Diego. However, there might be someone who lives in Los Angeles, who shares our post. That person in Los Angeles could have a Facebook friend in San Diego. The friend in San Diego may see our post as an organic placement because their friend in Los Angeles shared the post. If you need to completely restrict people in a location from seeing the post, you have some options. I covered those options here in a more detailed article regarding Restricted Audiences on Facebook. If you elect to use the “drop pin” method, and the radius of the circle crosses into another country, that country is not included in your target audience. Facebook covers other reminders about radius targeting here, near the bottom of the page. You could use this if you don’t mind whether the people in your target live in the area or are just traveling through. Coffee shops, restaurants, online sales, etc. This targeting segment is for something more relevant for people who live their daily lives in an area and may use services or products on a regular basis. Think gym memberships, community centers, etc. It could also be useful for services related to property, such as home repair, plumbing, electrical HVAC, security services, etc. I’ll be honest – I have trouble thinking of times when this is more useful vs. the other targeting options. Facebook’s help article suggests this segment for time-sensitive sales. An example might be inviting people back to a location – local visitor bureau ads, perhaps? If you have an idea for a great use of reaching people recently in a location, tell me in the comments! This is naturally suited to tourism offerings. If you have a tourist attraction, event tickets, hotel, rental car company, or any other service of use to a traveler – go for this. You can target very broad (as broad as the entire globe) or very specific (down to a one-mile radius of a pin drop) locations. Broad targeting does not always include all cities in a location. There are exceptions. You can exclude specific locations from targeting… but this doesn’t mean the users from excluded locations will definitely not see an ad. Facebook uses different data sources to determine estimates for the various location segments. These segments are: Everyone, People Who Live in, Recently In, and People Traveling in. The definitions of these estimates are not aligned exactly with the realities of each segment. Different situations call for different targeting options. You might have a business justification for wanting to target only users who live in a location, and other times people traveling in a location. Facebook offers options for these. Do you use different Facebook Location Targeting options? Is there a way you use it that I’ve missed? What is an Ideal Facebook Ad Frequency? 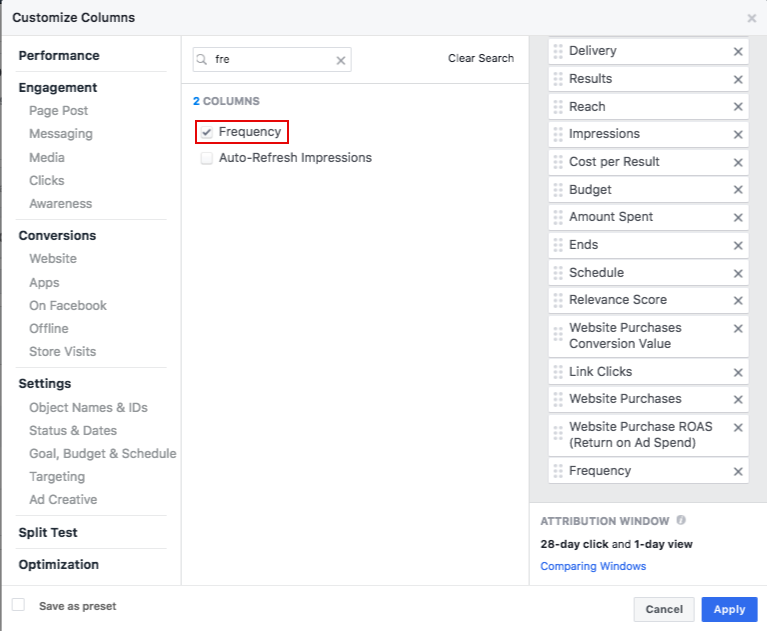 What should your Facebook ad frequency be? This is a common question among Facebook advertisers, and a source of discussion in the Power Hitters Club groups. As with many aspects of Facebook, there’s not a one-size-fits-all approach. But, that does not mean you cannot consider the ideal frequencies for your own advertising. This article provides a general guide for approaching this important issue. Facebook defines frequency as the average number of times each person saw your ad. It’s important to note that this is an estimated metric. This means that it’s not always an exact number. Remember that (Impressions divided by Reach) = Frequency. Said another way, (Reach multiplied by Frequency) = Impressions. This formula will come in handy later. It’s also important to remember that Facebook ad frequency is an average. You may have some people in the audience who were reached a very large number of times, and others who were reached only once. The overall average is what Facebook reports. If you want to dive into deeper detail on frequency distribution, I’ve written about this topic in an article about Page-Level reporting. 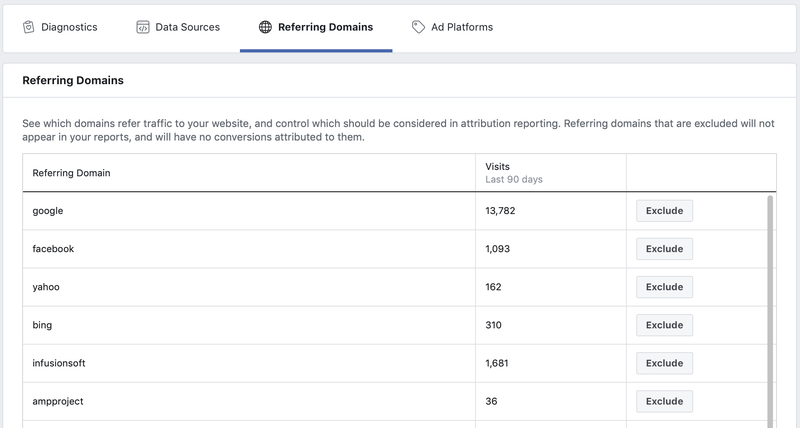 Within Ads Manager, Facebook has a functionality that allows us to include Frequency metrics in any reporting view: Campaign, Ad Set, or Ad Level. From the top right of Ads Manager, you should have a button called “Columns: Performance” listed below the date range. I like to place Reach, Impressions, and Frequency adjacent to one another, as these three metrics are directly related. Using our formula, we can see that (119,045 / 76,551) = 1.56. That is, Reach divided by Impressions equals Frequency. Using the Charts functionality of Ads Manager, we can also look at Daily Frequency for a specific campaign. Here’s how we find this data point. 1) Select the Campaign from the list of campaigns. 2) Select the “View Chart” button from the top right of Ads Manager. Notice that the frequency changed from 1.56 (our overall Campaign frequency for the reporting period) to 1.25 (our Campaign frequency for the specific date of April 18). You can repeat the above process for an Ad or Ad Set. You can also do it for multiple Campaigns (or multiple Ad Sets, or multiple Ads), depending on your reporting needs. 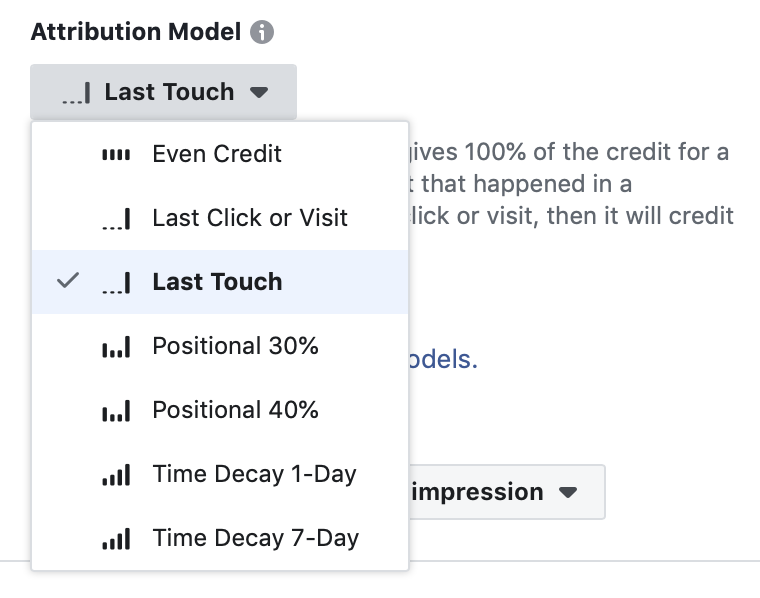 If you are having trouble with navigating how to look at multiple Campaigns, Ad Sets, or Ads, check out my write-up on Paid Reach Reporting in Ads Manager where we covered this methodology. We can also use the “View Charts” functionality to dive deeper into Cumulative Frequency. Cumulative Frequency tells us how the frequency increased each day to accumulate for the campaign over time. This can be an indicator of how you began “saturating” the same audience over time. It can also show where you might have specific points of time in the history of a campaign when the same individuals were being shown ads. You may notice that overall cumulative frequency for the reporting period is the same as the overall frequency. This is as expected, as the final cumulative frequency is an overall aggregation of the entire period. Notice here that the data is telling us our Cumulative Frequency is 1.21 for April 18, vs. 1.25 Daily Frequency for April 18th that we obtained previously. At first glance, this seems impossible… How could we reach fewer people cumulatively, over time, than those whom we reach on a single day? This can happen because frequency is an overall average, over time, for the period in question. Meaning – the average frequency on a single day could be higher than the average cumulative frequency for an extended period of time. You will likely see similar data points in your own campaigns, with specific dates having a higher average frequency than a multi-day period during the life of a campaign. The above process can be followed for an Ad or Ad Set. You can compare it across multiple Campaigns (or multiple Ad Sets, or multiple Ads), depending on your reporting needs. Now that we know how to look at our Frequency metrics, let’s discuss the big question: What’s an Ideal Facebook Ad Frequency? Facebook has a very interesting analysis titled Effective Frequency: Reaching Full Campaign Potential. I definitely recommend you check this out, if the topic is of particular interest. If you’d like deeper detail of the analysis, they have a companion white paper where the methodology and implications are covered in more detail. I consider this to be a compact, concise, and clear framework for thinking about when you may benefit from differing frequencies. When you have highly similar creatives across your campaign, multiple exposures of the same imagery/copy (high frequency) can be an issue for your audience. When there is larger variation between creatives, the high frequency can be less of a problem. We can use a hypothetical example to illustrate. Let’s say we have 10 ads about basketball. In a campaign with high creative variation, each ad might be about a different basketball team. Therefore, people who see multiple ads from the campaign might be less annoyed by each, since the ads are about different topics, likely featuring a different team logo or visual layout, etc. In a campaign with low creative variation, there might be 10 images of the same team. They may all show a slightly different angle of the image, or slight variations in the text used. A user with exposure to several of these ads may perceive repetition. This user may more likely be annoyed if they are being shown your ads over and over. While you may consider each ad to be different, the casual user may consider them to be the same, because they look so familiar. An important reminder on this: Even if you have many creatives in a campaign, they may not all be receiving impressions. This is due to Facebook’s ad delivery system favoring high performing ads. Remember that you can check impressions for each specific ad in a campaign (as well as the Reach and Frequency for each ad). If you have a large number of creatives that are clearly different and they’re all receiving impressions, high frequency is far less likely to cause issues. Facebook’s study of effective frequency did not discuss consideration of ad placement. The placement of an ad is how your audience encounters your post, and can affect your results wildly. For example, placements in Right Column can be very high compared with other placements such as Facebook News Feed and Instagram News Feed, without resulting in the same level of annoyance or frustration from the exposed audience. Placements in the Right Column tend to be seen as less intrusive. They live in the “traditional ad space” where users might be accustomed to seeing ads in other website experiences. Of course, this placement also tends to be the least likely to drive engagement from your audience, which is why these are often at the lower cost of all placements. Notice in our example that average frequency for Desktop Right Column placement is much higher than other placements. This can sometimes skew the way a campaign appears to perform for overall frequency, because a higher volume of placements in Right Column may not be so problematic. I often notice advertisers have high frequency for Right Column placements in cases where they have selected campaign goals that are more tied to eyeballs on ads – such as Reach, for example. If your overall campaign objectives are more tied to specific action results, such as the Conversions or Video Views objectives, you’ll likely find that Facebook’s optimization system generally works to optimize the placement for the specific action you desire. Since Right Column placement tends to result in low ad interaction, you will normally see lower impression numbers for this placement (and therefore lower frequency), for such campaigns. Is Your Frequency a Problem? It can be tough to determine whether your frequency is the source of performance issues. Unfortunately, Facebook removed the Negative Feedback metric from Ads Manager reporting. This was once a great metric for considering the source of fatigue issues. Fortunately, there are certain cases where you can still get an idea of negative feedback. Specifically, for published page posts that you are promoting, you can export Post-Level data and check two data points in particular: Lifetime Negative Feedback from Users and Lifetime Negative Feedback. At the time of this writing, these are columns R and S in the Post-Level export. Negative Feedback from Users is a count of people who have given negative feedback. Negative Feedback is a measure of the times that negative feedback has been given. These metrics can be a potential indicator that your frequency may be too high, though sometimes it can just be that the audience dislikes your ad. That said, it’s always important to look at this number in context as a proportion of your overall reach. As your reach increases, so will negative feedback. If the proportion of Negative Feedback from Users vs. Post Total Reach seems particularly high vs. your average, you may have a problem. If you are concerned about your Frequency and would like to control it a bit more directly, there are options available. 1) Reach and Frequency Buying: You can use this option to define goals in advance. Specifically, the amount of people you want to reach, and how often you want to reach them. There are some limitations to this tool. First, this option is not available to all advertisers. It’s a feature that Facebook seems to make available to advertisers with higher spend levels. Second, it “locks in” your results to the agreed upon amount. If you have content that has the potential to perform extremely well in the ad auction, you could have outperformed what the guaranteed results may have been, had you utilized this option. 2) Use the Reach Objective: This option allows you to set a maximum frequency on your campaign. However, there are many, many cases when I would not recommend using the Reach objective, such as when another goal is more likely to optimize to your specific results (as with Brand Awareness or Conversions, for example). I tend to use this objective only in very specific cases. Jon’s write-up on his structure of 15 Facebook Ad Campaigns included a few examples of where he uses Reach. 3) Using Automated Rules: You can set automated rules to take action on your behalf. You’ll find automated rules in Ads Manager, useful for when certain parameters (such as Frequency!) are met. Jon wrote about this feature in detail here. 4) Manual Monitoring: You can closely monitor your campaigns and simply make changes manually when frequency exceeds your comfort level. For example, you might lower budgets, expand the target, add new creatives, or simply pause Ads, Ad Sets, or Campaigns if it seems your audiences may be getting fatigued based on high frequency. However, keep in mind that certain actions reset the learning phase for your ads. You may notice there is no hard rule for frequency listed in this post. As with many aspects of Facebook advertising, the ideal depends on your specific situation! The outlined approaches are intended to provide a guide for consideration. This will likely be far more effective than a single rule that does not consider the context or needs of your activities. High frequency is tied to audience fatigue and may impact your results. High frequency can be less of a concern when you have high creative variety, or for particularly high volume placements in your Campaign (such as Right Column). If you believe high frequency may be a problem for your campaigns, you have some options to control Frequency. Do you consider Frequency in your performance analysis? I’ve written previously about reporting on reach using Facebook Insights, both at the Page Level and the Post Level. 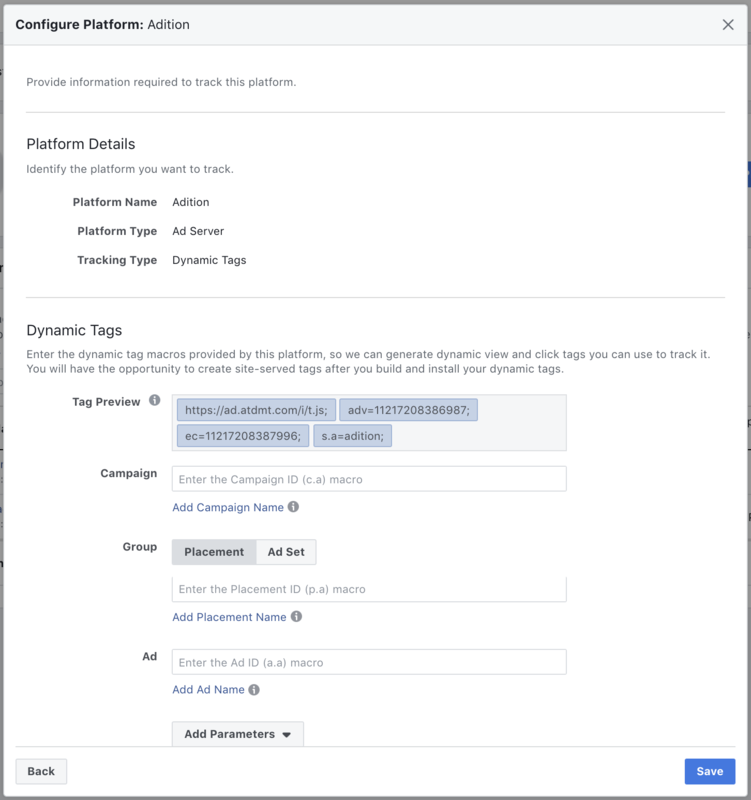 Now we’ll dive into reporting on Facebook Paid Reach using Facebook Ads Manager. We’ll address some of the pitfalls in reporting inaccurate data, and how to identify Reach Overlap at the Ad, Ad Set, and Campaign levels. Remember that reach is a measure of unique users. One of the most common mistakes is to simply add numbers together (for different ads, ad sets, or campaigns), and presume that you have total counts of the people reached. However, since reach should be a measure of unique people, there are safeguards to ensure that your overall counts are accurate (or at least as accurate as possible for a measure that is estimated). Luckily for us, Ads Manager has some built-in tools to help us better understand reach. We can use these to avoid common reporting mistakes and identify interesting insights. One metric that has been available for some time via the Delivery Insights tool is auction overlap. This handy resource is useful for understanding if your ad sets are “competing with themselves” within an ad account. However, there are other ways to get similar information by using some built-in reporting process from Facebook, along with some simple math. We can also compile information in ways that represent all levels: Campaign, Ad Set, and Ad. Let’s illustrate this with an example from campaign reporting. You may be familiar with pulling topline information from your Campaigns tab in Ads Manager. While Delivery Insights gives some information about audience overlap, it can be somewhat limited. If we are interested in understanding a specific group of campaigns, there is a more powerful method. When you initially navigate to the Campaigns tab of Ads Manager, you will see all campaigns listed, for the time range that you select. Protip: Always be sure to double-check the time range, listed on the top right of Ads Manager. This can default to certain values based on what your recent history. I often make the mistake of forgetting to verify this. Therefore, a good habit is to always select “Lifetime” view to start, and then narrow down the data to your specific date ranges needed. From this initial Campaign Overview, you should see all of your campaigns that ran during the time range listed. For the purposes of this example, I’ve selected to see specific campaigns for the first 6 months of 2017 in this ad account. You may encounter a situation where you have campaigns listed that did not have spend during the time frame. These should not affect your analysis, but if you want to remove them, you can easily apply a filter. You can apply a filter by clicking the Filters drop down, or by clicking the Plus (+) sign beside the drop down. I’ve called out the Plus sign with a blue arrow in the above image. My personal preference is to use the Plus sign method, which is most similar to other analytics tools. I normally use a simple filter. For example, “Impressions ‘is greater than’ 0” populates only those campaigns that delivered impressions during the time range. Click Add to apply the filter. *I’ve given these generic names for purposes of our example. We can use these data to understand overall metrics among multiple Campaigns that match our parameters. Overall data is reported along the bottom of the page, where we can see aggregated results from these four campaigns. Important: Note that these results are showing paid data only, and do not include organic results. General organic, post-level results are available elsewhere. If you’re interested in diving into that topic, check out this article. Using the Filter feature easily warrants an entire article of its own, but here are some helpful reminders for filtering data to ensure you are not missing any results in your reporting. Along the bottom of the reporting view, the summary data will show de-duplicated reach across the campaigns in view. Keep this mind, as we’ll come back to this in a moment. Notice I’ve said “People Reached” instead of just “Reach”. This is a healthy and helpful habit to ensure that I understand which metrics are “People” metrics, as these are the measures of unique users. This is important, as it impacts how we correctly understand overlap using de-duplicated data. For example, with our sample data from these four campaigns, you may assume that we should simply add these numbers to understand our Total Paid Reach. This would give us: 10,308 + 3,875 + 2,286 + 1,419 = 17,888 Total People Reached. However, we can look at our summary row at the bottom of this data set and see that Facebook reports our Total Reach as: 16,696 People. What does this mean? Some people were reached multiple times in these campaigns. In this specific example, we had 1,192 people who were reached at least twice (17,888 – 16,696). Reporting on Impressions is a simpler process, as this is not a unique user metric. We discussed this previous articles on Post-Level Reach and Page-Level Reach. We can validate this in our sample data. Facebook reported that our Total Impressions were 23,077. This is the same number we would find if we simply added the four rows of impressions together (12,577 + 6,532 + 2,399 + 1,569). In our example above, we are using data to understand overlap across our entire mix of campaigns. The super cool thing about the summary row? We can use this to compare campaign vs. campaign. Let’s re-visit our example: We can determine what sort of overlap existed for Campaign 1 and Campaign 2, specifically. While we could do this by applying various filters, a super quick way to do this is to simply select both campaigns using the check boxes to the left, and then click to “Filter By Selection”. This will show us just the data for those selected Campaigns. Similar to the calculation we used above, we can figure out how many people were reached by both campaigns. In this example, by adding our numbers together, we would incorrectly assume we reached a total of (10,308 + 3,875) = 14,183 People. However, this is not a reflection of the complete picture. 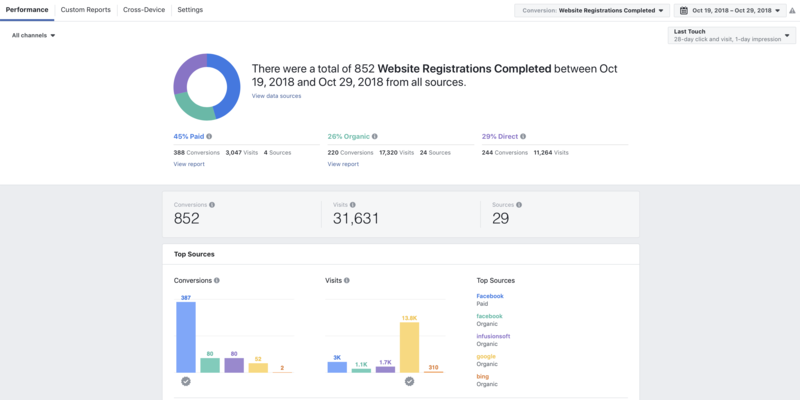 Since Facebook reports that our de-duplicated Total Reach was 13,853, we can calculate how many people were reached by both campaigns by finding the difference between these numbers. In our case, we had (14,183 – 13,853) = 330 people reached by BOTH campaigns. How cool! We can use this same methodology to understand overlap between specific Ad Sets, and between specific Ads. We can even do this for Ad Sets from separate campaigns, and Ads from separate Ad Sets. Essentially, we can determine overlap across any component of the Campaign->Ad Set-> Ad structure across all activities within a single ad account. Say you had a random assortment of Ads, sorted by Reach, and you wanted to see determine reach overlap for three specific ads from a large group of ads. Again using our same calculation methodology, we apply our formula: (1,989 + 1,459 + 710) = 4,158. Facebook’s de-duplicated Total Reach is 3,997. Therefore we can find that (4,158 – 3,997) = 161 people who were reached at least twice by this group of ads. Facebook provides us Total Reach from the Summary Row at the bottom of Ads Manager. We’ll call this the Facebook De-Duplicated Reach. We identify the specific data rows we would like to compare. We add these together to get a Total Summed Reach. Total Summed Reach – Facebook De-Duplicated Reach = Reach Overlap. 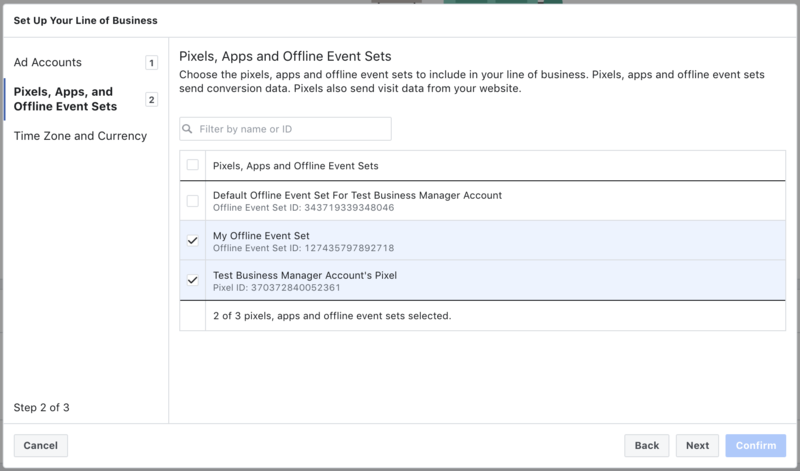 Applying filters to data in Ads Manager can be a powerful way to segment information. Facebook Paid Reach Overlap can be calculated. We do not need to rely only on Delivery Insights for this information. We can use a straightforward formula for these calculations across Campaigns, Ad Sets, and Ads. These insights can help us determine if particular ad creatives or targets may be more heavily saturated. This method can be a powerful tool to understanding ad, ad set, or campaign overlap. Have fun! How do you use Ads Manager to report reach? What particular challenges do you experience with comparing performance data across Ads, Ad Sets, or Campaigns? I’ve written previously on Reporting on Facebook Reach, particularly at the Page Level. Another opportunity is to dive more deeply into Reach reporting at the Post Level. This can be useful in many cases and allows us to more fully understand Facebook Post Reach. 1) When you want to consider organic results in your reporting for paid posts. Particularly relevant when you have a paid post or campaign that performs extremely well among paid content, as it can often become heavily served by Facebook’s system organically as a result. Without including organic results, you might be missing out on a great deal of performance data and insight. 2) When you are trying to identify particularly high performing posts — potentially for promoting them later — and you’d like to use Reach data as an indicator of post performance. First, let’s clarify reporting of organic and paid reach metrics. If a user sees the post as a paid placement (i.e. it has the “Sponsored” label in News Feed, for example), that user is included in the Paid Reach count. If a user sees the post as an organic placement (i.e. it came directly from the page into the News Feed without a “Sponsored” label), that user is included in the Organic Reach count. Importantly, if a user sees placements as both of these types, they are counted in each individual metric, but they are only counted once when the cumulative numbers are totaled for overall Reach. If your post reaches someone through both paid and organic distribution, they’re counted toward each. Keep in mind that the sum of organic and paid reach won’t always equal post reach. For example, if one person sees your post through both organic and paid distribution, they’ll be counted as 1 in organic reach, 1 in paid reach, and 1 in post reach. This will likely make more sense in a bit once we get through some specific examples. First, Facebook does have a method for accessing high-level data on Posts. You can review this simply by clicking on the Insights tab from the top of your page. Facebook may require you to log into Business Manager first if you have your page managed there. You can then select to export Post Level data from this screen, by clicking the Post data option. You can adjust the date range, as well as adjust the data you choose to export. Facebook offers several options here to change the layout of the data you export. I normally like to download all of the data in bulk, instead of running into a situation where I wished I had captured something and have to re-export. If you want to make a change to your selection, you can do so from here. You can also save a favorite layout so that you don’t have to rebuild it in the future. One thing to note is that you will often find somewhat different results from this report, compared to what you would see when viewing similar data in Ads Manager. I’ve seen some indication that this could be due to different estimation models between the data sources, but it can also be impacted when you have additional placements for your ads (such as if you use a Facebook post as the ad material to publish on Instagram or in Instant Articles). Post-Level data should only be showing you results from your post appearing on News Feed and on your Facebook Page (viewed when users visit your page directly). Now that we have the data exported, we get to the fun part. First, you should notice the various tabs across the bottom of your exported file. Though there are fewer options than at the Page Level, there is some potentially valuable data in these. We’ll get to some of this in a bit. *Facebook reports columns I, J, and K in the Post-Level export. In this example, I’ve included L as a calculation of adding J and K together. Column M is L minus I, which is explained more below. We discussed earlier that the Total Reach metric will not double-count an individual that is reached by both Paid and Organic placements. When some users are reached by both Paid and Organic placements, our numbers can be thrown off. Calculating specific, post-level frequency can be a bit tough (some would say technically impossible). However, we can evaluate how many people were reached by both Paid and Organic posts by using this data. Essentially, it should just be the difference between our manual calculation and the Total Post Reach number Facebook provided. In our hypothetical example above, for the post on July 14th, we would do the following: Organic Reach PLUS Paid Reach = Manually Calculated Total Reach, or 2027 + 112,841 = 114,868. The difference between this number and the Facebook Reported Total Reach is our overlap, so 114,868 – 114,539 = 329 people who were reached by both organic and paid placements of the post in question. Would you want to do this manual calculation breakout? I don’t see much of a reason, but you could use this method if needed. Reporting Impressions is not as problematic, much like Page-Level reporting. 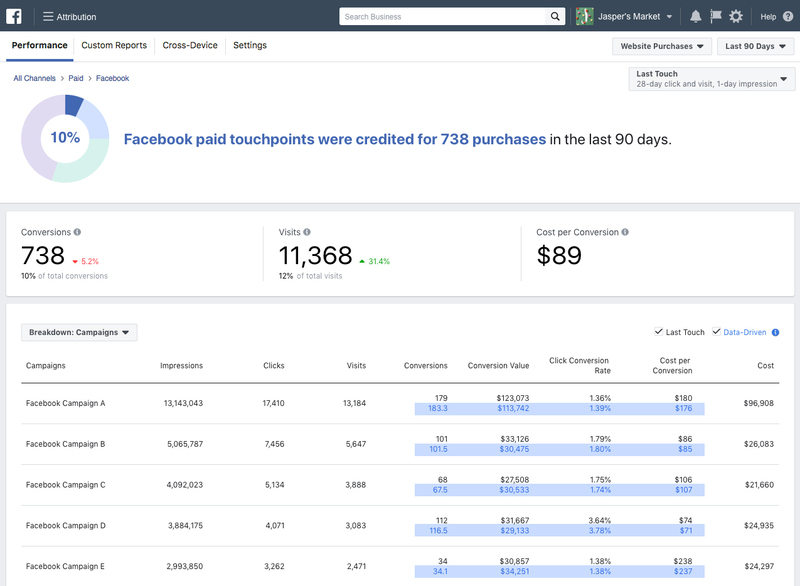 Facebook separates Paid Impressions and Organic Impressions accordingly, and these require no de-duplication or manual re-calculation. You should see that simply adding these numbers together will equal the Total Impressions reported metric. This makes for easier reporting. If you navigate toward the right in the exported file from earlier, you’ll find a metric called “Lifetime Post Reach by People Who Like Your Page.” This simply means Lifetime Post Fan Reach. If you subtract this value from the Total Reach, you have a measure of non-fan reach. You can use this to estimate how much of your content is reaching fans vs non-fans, which could have interesting implications on ad targeting and investment. Normally, you will see that your paid posts reach a much higher percentage of non-fans vs. fans. You should also find that organic-only posts reach many more fans than non-fans. However, there are exceptions — especially when a post is shared heavily. Though this makes intuitive sense, some advertisers might be surprised by these findings. *Facebook includes columns I and U in the Post-Level export. I’ve included V, W, and X as calculated fields. You’ve likely heard of “dark posts” or unpublished posts. These are basically just posts that never appear directly on the Facebook page used to publish ads (except for those appearing on the Info and Ads tab as part of Facebook’s transparency work). The challenge with these posts is that they also do not appear in Post Level exports from your Facebook page. This means that we are unable to utilize the exported data to do the fun analyses of separating out paid vs. organic results, fans vs. non-fans, etc. Sometimes, in the case of particularly strong posts that create a great deal of engagement, missing out on this organic reporting can be a big deal. You may have posts that deliver a much larger amount of organic results vs. paid, even in cases where the paid results are robust. If it’s particularly important to ensure you capture organic data, there is a small, somewhat manual workaround to this. First, we go to Ads Manager or Business Manager. Then we select the drop down from the top left, and select Page Posts, under the Create and Manage option. Once selected, you can specify the page you’d like to review post data for. Though it can take some patience to navigate, you can select to see all Ads Posts. You can then individually explore and review post results. If it’s a video post, you can select to open the post and then see an indication of results. If you hover over the Reach bar on the bottom left, you’ll see a breakout of data for Organic vs. Paid performance. When your post is NOT a video, unfortunately, there’s not a straightforward way to break out the organic results for unpublished posts (at least not yet that I’m aware of!). However, the Page Posts tool would at least show you the top-level reach results. You could spot check this against your Ads Manager reach data. If the number shown on the Ads Post in the Page Posts tool is vastly larger than the reach number reflected in Ads Manager, then you know you might have a particularly strong organic performer on your hands. Congrats! One bright spot: Page-Level reporting DOES include data on unpublished posts, though it is not broken out for each post. You can see a write-up on that topic here. Total Post Reach is not simply the sum of Organic Reach and Paid Reach. You can separate and analyze performance of posts for Fans vs. Non-fans, which may provide interesting insights. Capturing Organic performance data on Unpublished Page Posts is possible in many cases, though this data can be limited. Do you use Post-Level Reporting? Do you have any particular challenges with comparing performance data from Ads vs your Organic results? We’ve all been there. Your ads are running just fine and then seemingly out of nowhere they stop performing. You’re surprised and disappointed to learn that your ads have stopped producing a profitable return-on-ad-spend (ROAS), they don’t have a steady click-through rate, and/or you don’t have any new quality leads. When the initial shock begins to wear off, you’re stuck wondering where to go next with your ad performance. Your brain is buzzing with questions: Perhaps you could have monitored your ads more often? Maybe you could’ve tested more creative? Did you make an unintentional mistake on budgeting or ad placements? Regardless of how you got there, it’s important to know that it will be okay and there is a path forward. Together, we can take your ads from failing to scaling. When your Facebook ads stop performing, your first instinct is probably to panic. Then you immediately wonder why (and why now) this is happening. Once you go through those initial stages of grief, you can start looking ahead to rebuild your ads for longer-term stability and scaling. This blog post covers all of these stages and gives you some quick-start ideas for account recovery. Is everything truly failing or is it just a few ad sets and/or audiences? This is an important question to dive into because your findings will usually show that some audiences or ad sets are actually performing the way they should. I measure ad performance for most clients in cost-per-acquisition, click-through-rate, relevance score, return-on-ad-spend, cost-per-landing page view and other metrics. After I perform this assessment, I build custom dashboards using the Custom Reporting tool within the Ads Manager. Then I select “Customize Columns” to pinpoint the data I want to report on. After I further assess this data, it gives me a much better picture of what is working and what’s not. I then take detailed notes on what is still performing well so I can include it in my rebuild. Let’s take a quick step back and remember that over the past year, specifically in the first half of 2018, ad competition has continued to significantly increase on Facebook and Instagram, especially in the Facebook News Feed. Facebook warned advertisers about this shift beginning in 2016 and they kept talking about it in 2017. In short, there are more people advertising than ever before and the “ad load” (AKA the number of ads being shown in the News Feed) has increased while the overall number of users (specifically, users in North America) hasn’t increased at the same steady rate. To counter the ever growing ad competition issue, Facebook has offered new ad placements in Messenger, Marketplace and Instagram Stories, so results can definitely be stunted if advertisers don’t experiment into these new placements and just stick to their old, previously successful playbook. So let’s unpack each of these issues. Say this phrase with me: first time impression ratio. It’s a huge deal, folks. 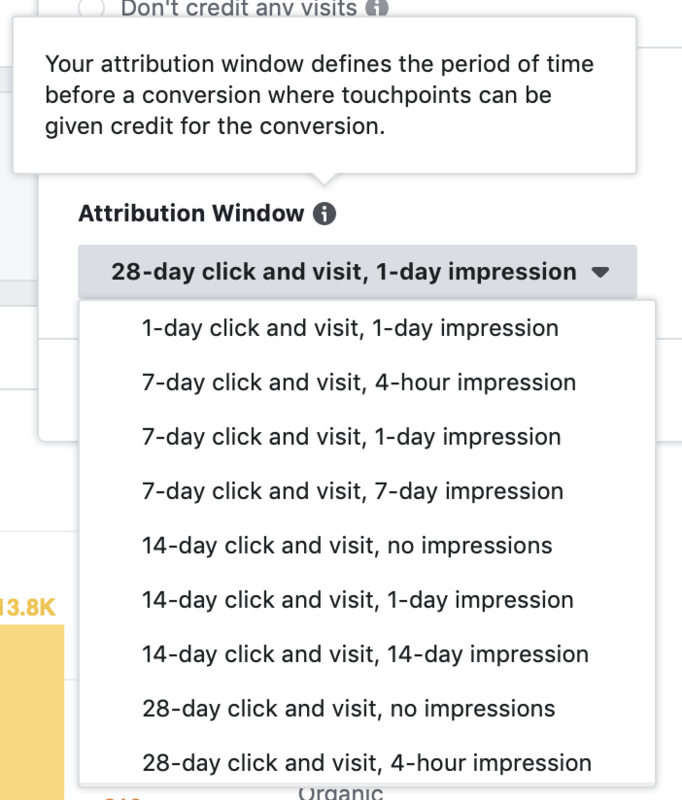 This Facebook statistic tells you, by day and by ad set, how many of the impressions you’re showing are for the first time. When you start a new ad for a new audience, that number is 100%. As you advertise longer and spend more money, that number declines. It’s important to understand this metric in relation to ad performance because if that number dips below 50%, you probably need to refresh creative or rebuild that audience. You can begin finding “delivery insights” at the ad set level. Once you click on that “See Delivery Insights” it takes you into this screen. From here, you are able to see many data points, but there’s one that’s especially important: First Time Impression Ratio. This number shows you how many of those people are seeing the ad for the first time. In this case, it’s very low. Normally, we want that to be above 50% for prospecting or brand new potential customers. If you’re updating creative and your audience sizes are right, this number will stay above 50%. Here, the number is less than 10%, meaning 90% of that audience has seen the ad before. If I looked at the frequency metric, I’d likely see that number be above a 3 or 4 within a 7 day period–which is a major problem. Be honest: When was the last time you updated your ad creative? When was the last time you tested new creative ideas in all parts of the funnel? How about testing stand-alone photo posts, or Instagram-specific creative? One of the most common issues I see when auditing Facebook accounts is a singular focus on one ad type. For example, somewhere along the way a lot of advertisers heard carousel ads “always work really well.” They can perform well, yes, but for prospecting, they actually don’t deliver sustainable results for most companies. Of course, there are many exceptions — but they tend to drive clicks but not as many purchases. So instead of carousels, why not try focusing on content that looks or feels user-generated, or in fact is user-generated? In today’s competitive environment, it helps to mix in some creative that looks like something a friend took and also explains what the product does, and why it might benefit that person’s life. If you can successfully update ad creative and test new ideas every two weeks, you would be in much better shape. I can’t tell you the number of times I’ve seen accounts that only target the Facebook News Feed for placement. Don’t get me wrong, I love the good ol’ News Feed, but at this moment in time, it’s just too competitive to have that be the only place you’re targeting. Perhaps most noteworthy, I’ve personally seen Instagram stories delivering positive results on prospecting audiences similar to that of the Facebook News Feed. Have you experimented with new placements? By simply expanding your options, you can help lower prices and reach more customers in a less competitive environment. Last week on a coaching call, a client asked me to explain the pros and cons of bidding certain ways under a conversion objective. I started talking and didn’t stop for over an hour. Clearly, there’s a lot to talk about in reference to this subject! One of the most common scenarios I see is when advertisers bid in a 1-day click window. This tactic can be incredibly limiting. Think about how many times you click on an ad and then buy right away. Most users don’t! We click, look around, think about it and consider that purchase. Then maybe I’ll go back on the weekend and buy the product. This is the core of the lesson: bid within the window you think your users will actually convert. In many cases, starting with a 7-day click or 1-day view bid can be more helpful to widen that target audience a bit. There are countless other discussions we could have about bidding, but a little experimentation on conversion windows can go a long way. By now you’ve done the ad autopsy and you’re ready to begin rebuilding for more stability. Rebuilding is a data-rich process based on utilizing what’s worked before, testing out new strategies, and trying to reach people in different parts of their buying journey. When I rebuild, I use the guide below. Notice that each audience segment has a different offer and different ad copy. Fans are different than previous site visitors and previous customers differ from potential customers that have engaged with you. Every grouping needs its own tailored creative and message. These offers aren’t specific to what I do every time but it gives you a beginning idea of how I think about it. This post is just the tip of the iceberg of how to turn ads around from failing to scaling — there are plenty of other options and solutions. What has worked for you when things have started to go south? Let me know below in the comments! If this topic is interesting to you, I’m teaching a course called “From Failing to Scaling: Trusted Strategies for Account Recovery and Growth” with Jon. We’d love to have you join us. Dynamic Product Ads are magical. We know the flow. A user visits a website or adds a product to cart. Then they don’t purchase. Finally, we show them an ad of that specific product and complete the sale. Many of us have this setup and it keeps on working. It’s a win-win because the advertisements aid in completing purchases and ensure the user sees a high-quality, relevant ad. But did you know that Dynamic Ads can also be used for prospecting? They can help find new customers based on online behavioral modeling. You can also use dynamic copy in prospecting ads. Between Broadmatch Dynamic Ads, Dynamic Product Ads, and all the new features of dynamic ads, they are delivering real results. Dynamic ads can now be a full-funnel solution that can add sales and stability to your campaigns. Look, I knew how dynamic ads worked. I’d used them with success many times. But I still found myself thinking Dynamic Ads were somewhat intimidating. Specifically, creating a stellar product catalog, “debugging” them, and customizing the ads combined to be a bit confusing and murky. As a result, I primarily used apps to help set things up — especially for my clients with multiple products, using an app was almost essential to making the entire process run smoothly. All that said, a few months ago when Jon and I decided that our May training would be on Dynamic Ads, I committed to spending some serious time getting my hands dirty. I interviewed marketers about how they’re using dynamic ads, and mastering the topic with confidence. Turns out that my fears weren’t completely unfounded; a lot of folks I talked to felt the same way. As such, there’s an incredible amount of variance in how Facebook advertisers use Dynamic Ads. Some rely on complex spreadsheets-to-database automatic uploads via FTP. Many are only utilizing 28-day add to cart remarketing. And even more common were those who set things up a year ago and haven’t changed them since. I quickly realized there’s a very wide range of opinions, concerns, and personal experiences on the subject. In speaking with dozens of agencies and consultants and running my own experiments, I’ve uncovered several pro tips for optimization that I think everyone can use to improve their Dynamic Product Ad results. I chose to focus on remarketing here since the majority of advertisers use Dynamic Product Ads with that goal in mind. One of the most common missteps I observed in my research was when advertisers would combine “View” and “Add to Cart” in the same ad set targeting. It’s a recurring pitfall as it’s the first radio button on the targeting list for Catalog Sales. However, the reality is with the custom combination targeting, you’re able to differentiate the pitch to these two groups. For example, if a new site visitor goes to a product page and views a product, it makes sense that they’re simply checking it out. They may or may not come back. Maybe they need more context on your overall brand story. Maybe they need more value propositions of why your product is so great. Or perhaps they’d like to see what other products you have that could interest them. In other words, they’re interested but not convinced. On the other hand, if that same person goes to the page and adds a product to their cart, that’s a much stronger signal of their intent to buy. In this instance, adding a discount code in the Dynamic Product Ad copy is a worthwhile approach to try. They’re much closer to making a purchase, so rewarding them is a smart play. Combining “View” and “Add to Cart” will hinder your efficiency in learning, so I strongly recommend separating them out! One of the downsides of Dynamic Product Ads is their frequencies can become too high too quickly. Due to the small audience size in most cases, I commonly observed 20+ frequencies over a 7-14 day period. Folks, let’s be honest: this is insane and super annoying. As advertisers, we often get tricked into thinking this practice is acceptable because many of those ads are still returning a high return on ad spend. They are profitable, so we leave them on. But in many cases, the relevance scores are a 3/10 or even lower AND click-through-rates are low while the cost-per-clicks are high. This proves the audience isn’t really loving the ad. Sure, I see the logic. But it’s still a crutch and you’re boxing yourself into a corner. Your brand could be seen as annoying, intrusive, and not conducting any social listening. What I propose is simple: Monitor and control your Dynamic Product Ad frequency. If you check your frequencies and realize they’re high, then it’s time to optimize. I try to aim for no more than seven impressions over a seven-day period (1X per day). When my ads get to this level or higher, I take immediate action on one and/or all of the following recommendations. Are you bidding for clicks? For purchases? In a one-day click or view window? All of these bid types have a different effect on how your ad shows. So I’d adjust your bid accordingly to match your true goal. For example, bidding for purchases within a one-day click window micro-targets an incredibly small group of users in an already small pool. Simply adjusting to a longer time window can have a dramatic effect on the frequency. Another example: If I’m bidding for purchases but the ad isn’t spending that much, changing the Event Type optimization to Add to Cart can help widen that window a bit further. Think about it: There are more Facebook users who add something to their cart than there are purchasers. Widening it by event can be helpful. Oftentimes if my frequencies are still too high, it’s likely due to the time window being too small and not having enough prospects. Take this example: I’m advertising to people who’ve added something to their cart but haven’t purchased in the last seven days. This audience is probably going to be a smaller group of people. For my first action, I can widen that time window a bit, perhaps from 7 days to 14 or 21 days. This is to see if I can capture previous add-to-cart folks. The second action I can take here is increasing the spend on and further refining my prospecting traffic. If I see my prospecting isn’t delivering as many users who add something to cart, then it’s time for adjustments. One ratio I’ve used to track this metric is on Facebook Analytics. Simply increasing the amount of people I’m sending into my funnel via prospecting can be a great solution to solve my frequency issues. Combining this with adjusting bid type can be even more lucrative. If you believe this entire post on Dynamic Product Ad optimization is total malarkey, then that’s fine! But, the one thing you must try is revamping your ad copy. Changing up your Dynamic Product Ad copy has a dramatic and immediate effect on results. Try refreshing your ad copy every week. Try another pitch, insert some fun emojis, make it seasonally appropriate, include positive customer reviews. All the while keeping in mind that if the user sees the same ad creative, they’ll still see new copy. If you like these pro tips and want to learn more, join Jon and me for our upcoming Dynamic Ads Master Class. In this course, you’ll learn everything you’ve ever wanted to know about dynamic ads. We’ll get into how to build them into an effective system. Topics include setting up and optimizing your product catalog, targeting, bidding, creative best practices, setting up effective ads step-by-step, retention strategies, and much more. Join us! Do you have any go-to strategies for optimizing Dynamic Product Ads? The post Optimize Facebook Dynamic Product Ads The Right Way appeared first on Jon Loomer Digital. I’ll come right out and say it: Facebook has had a rough few weeks. From the Congressional hearings to the news surrounding Cambridge Analytica, it’s been a difficult time for Facebook advertisers. It feels like we’re on defense. We’re trying to stay on top of all the latest news while also defending the company and our profession to family, friends, and clients because many of them simply do not understand how Facebook advertising works and what Facebook does with user data. And you know what? Their frustration is warranted. We should all be able to describe and understand what any platform does with our data because the more we understand and the more familiar we are with it, we can more easily work together to improve it. Recent news aside, it’s important to keep in mind that Facebook has significantly scaled in users over the past few years, and as a result, its advertising tools have also become more sophisticated. And with more complex advertising tools, myths and misconceptions abound, especially surrounding data. 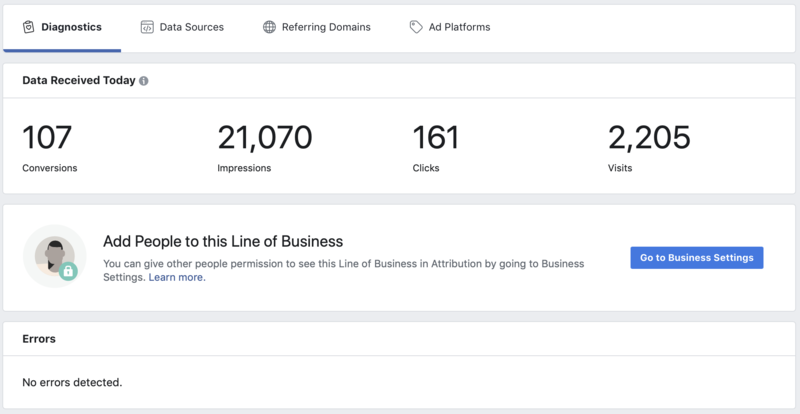 I’m proud of the work I’ve done to help demystify Facebook ad tools and empower thousands of business owners and entrepreneurs with detailed information and recommendations. And one of the best tools that helps all of us understand data at a deeper level is Facebook Analytics. How do I take these insights and turn them into actionable steps in my campaigns? With that in mind, this post is meant to jumpstart your campaigns and move the needle right away by covering Funnels and Lifetime Value within Facebook Analytics. We’ll take a closer look at commonly asked questions related to these reports and some potential solutions. 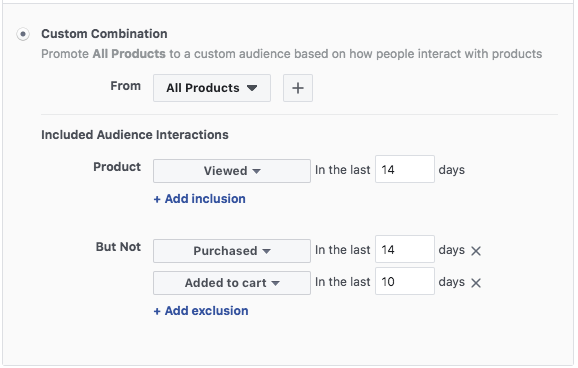 Funnels within Facebook Analytics allow you to build visualized paths within your sales cycle to see how different parts of your funnel relate to one another. One of my personal favorites is using the funnel of Page View > Add to Cart > Purchase within a 90-day window. This funnel helps me understand how all traffic that’s come through our site within the last 90 days has behaved. I can see the overall conversion rate of the funnel, the average time to complete this funnel, and much more. See below for a few examples of questions and answers that come to mind when reviewing this data. Can I improve the percentages of people who view a page and then add something to their cart? 1. Launch an improved offer on the ad via the conversion objective, within the ad to Previous Page Views who didn’t add to cart. Perhaps instead of trying 10% off on remarketing to this group, change the ad copy to “add to cart and save 20% now,” offering an incentive to users to add to their cart. 2. Launch a Page Post Engagement Objective ad towards Previous Page Views who didn’t add to cart, thus reaching a wider selection of that audience. You could use that ad to explain more about what you do, what makes your product or service different, or launch a video describing it. 3. Launch a Messenger ad towards those who’ve added something to their cart but not purchased. The ad copy could be “what questions do you have?” and that ad drives them into a Messenger conversation. Sometimes users put something in their carts as they’re considering that product, so why not ask if you can be helpful? 4. Launch multiple ad types at the add to cart audience, such as a carousel ad, a photo post ad, a slideshow, and a Canvas ad. Gauge success over a testing period to see if you can improve the baseline percentage of those who ultimately become purchasers. Some of my existing site traffic isn’t going to buy immediately, so what else can I do with that audience? 1. Launch a Lead Gen ad at Previous Page Views, asking for that user’s email address. That way you can add them to your email list and use email to help them better understand your product or service. 2. Launch a video advertisement that gives more of your company backstory to those users. Help them understand who you are in a more complete, compelling way. 3. Launch an article for Page Post Engagement to that audience to help them see external validation of your product. 4. Showcase your products using an engaging Canvas ad, which combines video and photos to more completely describe who you are. These are just a few examples of successful tactics I’ve launched using Funnels. There are many more. One of the most valuable target groupings that surprisingly doesn’t get much attention is previous purchasers. As advertisers, we focus a lot of attention on brand new acquisition and sometimes we forget about the people who already know us. This group of customers shouldn’t be forgotten. Compounding this problem, many advertisers do not properly calculate Lifetime Value. They focus on Cost Per Acquisition (CPA) instead of Lifetime Value, which can help provide more of a buffer when acquiring new customers versus only looking at your average order value and calculating at what cost you must obtain a new customer. As competition rises and prices continue to increase, we must consider what a true value of a customer is over his or her lifetime. For example, let’s take a recent conversation I had with a client and break it down. Their average order value is ~$40. Their CPA goal is $20. If an ad set CPA goes above $20, they turn it off immediately. Their lifetime value (LTV) is $80. Their ads are having a hard time getting conversions at $20. It’s a challenging conundrum because as competition rises on Facebook and Instagram, advertisers have to consider measuring their LTV, not just CPA. You can find this information via Lifetime Value within Facebook Analytics. My first advice to them was “consider raising your CPA goal to $30.” By increasing it, you allow your ad sets to get a higher CPA before turning them off and you’re considering the lifetime value. Consider these LTV graphs from Facebook Analytics. Over a 12-week period, the LTV has increased from $40 (likely their first purchase) to $84. The week of March 7-13, you can see those users are already at $71 for their LTV in week 4. What can I do to increase Lifetime Value of these customers? How can I improve from $84 to $100+ over a 12-week period? 1. Launch a series of ads for twelve weeks, introducing them to new products in your store. 2. Launch a Dynamic Product Ad utilizing a new product set they’ve not yet been exposed to before. 3. Do a Facebook Live showcasing new products and advertise it only to previous customers via the conversion objective. 4. Create a custom discount code only for previous purchasers to use, asking them to come back and try another product. 5. Launch a series of different objectives, such as Page Post Engagement and Reach at the previous customer audience to see if you’re able to touch a wider segment of that core audience. Raising the LTV has a lot to do with storytelling, so the more you can turn customers into advocates the better. If you want to learn even more or if you have questions about how to dive deeper into these topics, join us on April 24 and 26 for our upcoming master class on Facebook Analytics. The post Turning Facebook Analytics Into Action appeared first on Jon Loomer Digital.